Well you could start with the alleged Dachau ” gas chamber” which was curiously never used. The Dachau Memorial Site now tells visitors that the gas chamber at Dachau was used to gas small groups of prisoners, and to train the SS men in how to operate a gas chamber. In 1957, when American soldiers were brought to Dachau to see the camp, they were allowed to go into the hallway behind the gas chamber, where they could see the push buttons used to input the gas through the shower heads. Those buttons are gone now; they were all stolen as souvenirs by the American soldiers. The main part of the former Dachau concentration camp was off limits because the camp was filled with Displaced Persons. 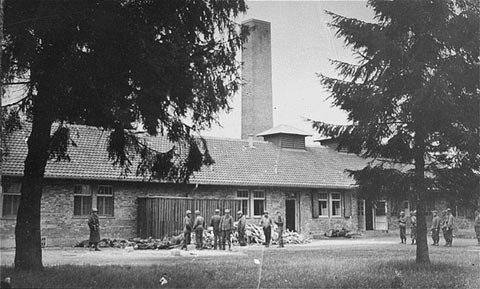 The soldiers saw only the gas chamber building, which was outside the camp. The American soldiers believed the gas chamber story because they did not know that the gas was in the form of pellets, which could not go through the shower heads. When this fact was realized, the Americans constructed the bins on the outside wall that you can see today. Technical question: How were the Zyklon B pellets supposed to be collected after each gassing? At Auschwitz, there was a basket supposedly moving up an down Inside the Kula columns to collect the Zyklon B pellets after a gassing was over. Was there any device making an easy collection of the Zyklon B pellets possible at Dachau? I ask this because if there were no such devices at Dachau, poison gas would have been released for hours and hours after the end of each gassing. That would have been a very stupid design for a gas chamber. 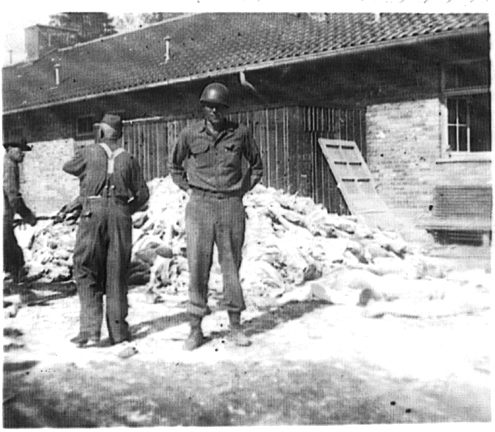 There was no way to retrieve the pellets after the prisoners had been gassed at Dachau. The initial story was that the gas came through the shower heads, so it was liquid or vapor. After the realization that the Zyklon-B was in the form of pellets, that could not go through the shower heads, there were two windows constructed, and the new story was that the pellets were put into the gas chamber through these windows. There was no basket to hold the pellets, so they just fell onto the floor. The prisoners could have just swept the pellets down into the floor drains. After this flaw was realized, the floor drains were closed up, and the new story was that the drains were fake. Then there was the problem of heating the pellets. The heater, which was intended to heat the room was on the opposite wall, across from the two windows. The new story was that this heater was used to heat the pellets to release the Zyklon-B. The teenagers, who go to visit the Dachau Memorial Site, don’t care about any of this. They just want to see a “gas chamber,” so the tour guides tell them that the Dachau gas chamber was used to murder the Jews. There is no credible evidence that the gas chamber in Barrack X was used to murder human beings. Instead, prisoners underwent “selection”; those who were judged too sick or weak to continue working were sent to the Hartheim “euthanasia” killing center near Linz, Austria. 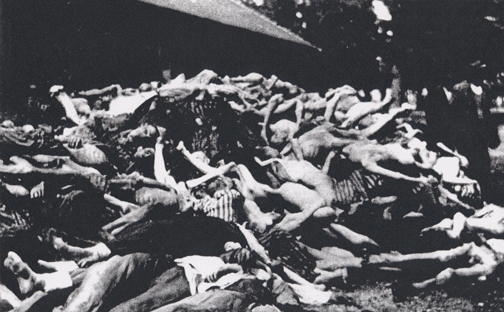 Several thousand Dachau prisoners were murdered at Hartheim. Further, the SS used the firing range and the gallows in the crematoria area as killing sites for prisoners. It is true that the prisoners, who were judged to be terminally ill, were sent to Hartheim Castle to be killed. A doctor at Dachau had to sign a certificate, saying that the prisoner was terminally ill. The prisoners, who were hung from the gallows, or shot at the wall behind the crematorium, were prisoners who had been condemned to death for some crime.